Biography: John Lawrence Reynolds has had many works of fiction and nonfiction published. His work has earned several awards, including two Arthur Ellis Awards for Best Mystery Novel, a National Business Book Award, and a CBC Bookie Award. His bestselling book Shadow People, tracing the development and influence of secret societies through history, was published in fourteen countries and twelve languages. 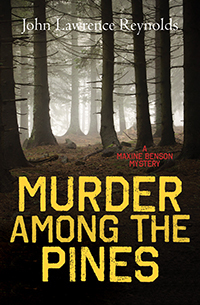 He is also the author of the Maxine Benson Mystery series. He lives in Burlington, Ontario, with his wife, Judy. For more information, visit www.wryter.ca. Does Maxine have what it takes to solve this murder? Husbands never stop causing trouble, even when they're exes.